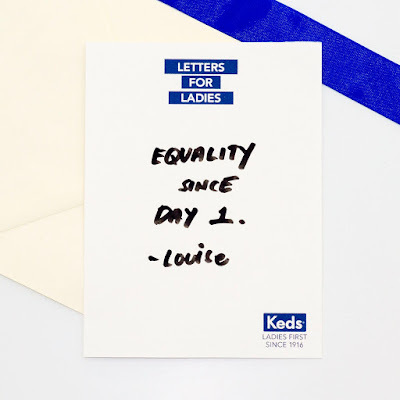 March is over but celebrating women never had an expiration date. 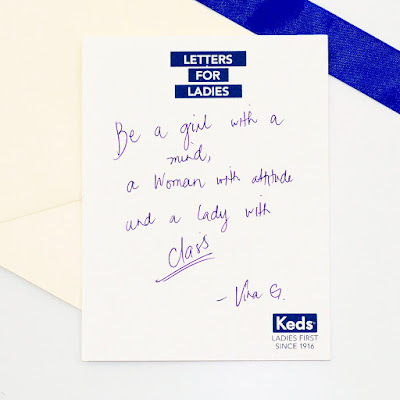 Behold, there’s an ongoing initiative called Letters for Ladies by Keds Philippines to culminate International Women’s Month where each one is encouraged to send out their feel-good and supportive messages to every woman out there. 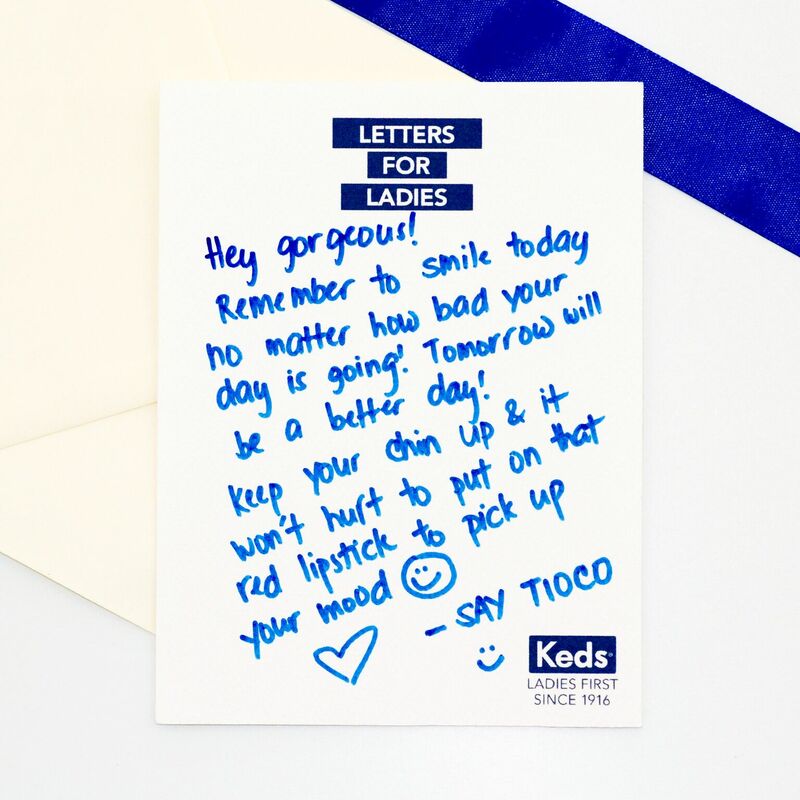 Whether it’s a personal message you want engraved in your head (and in your heart), an empowering quote, or even an inspiring story you wish to share, write it down now! 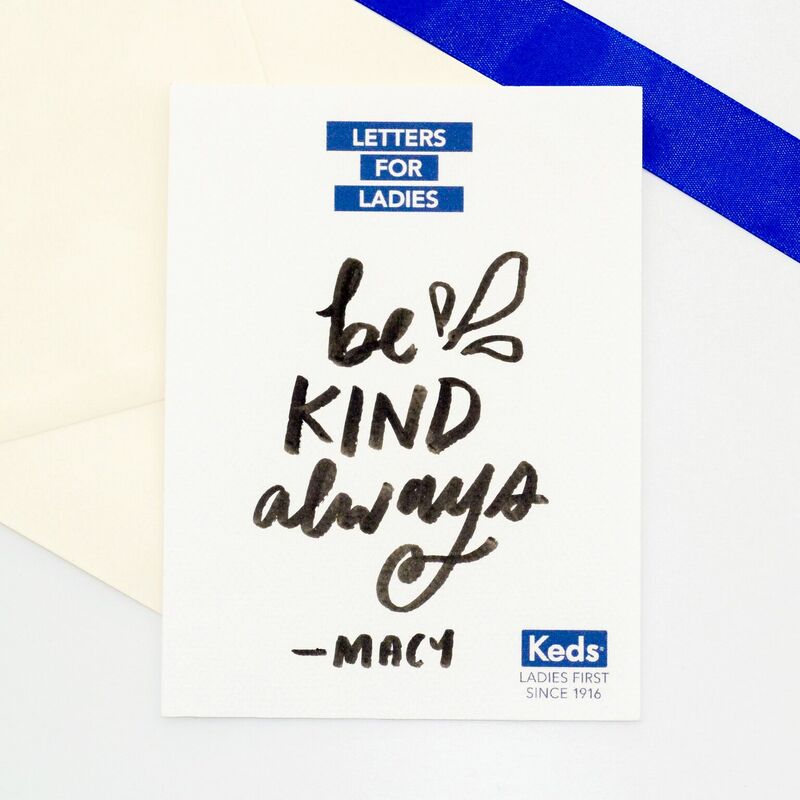 The beauty of these messages are not only discovered through the words used but also the sincerity it holds. I mean, why the hell not? It may seem cheesy and cliche, but always set your sights on big things and unlearn the process and option of settling. Know all that you are worth and don’t be afraid to take big risks and be selfish sometimes for your own good. Women are made to achieve great things, so go on and accomplish your biggest dreams. Do you have your own message for women? Spill those feelings out now! You may visit the nearest Keds store or e-mail kedslettersforladies@gmail.com to join the campaign. If you’re posting on Instagram, tag me (@vinzlamorena) as I would love to read all your heartwarming messages!